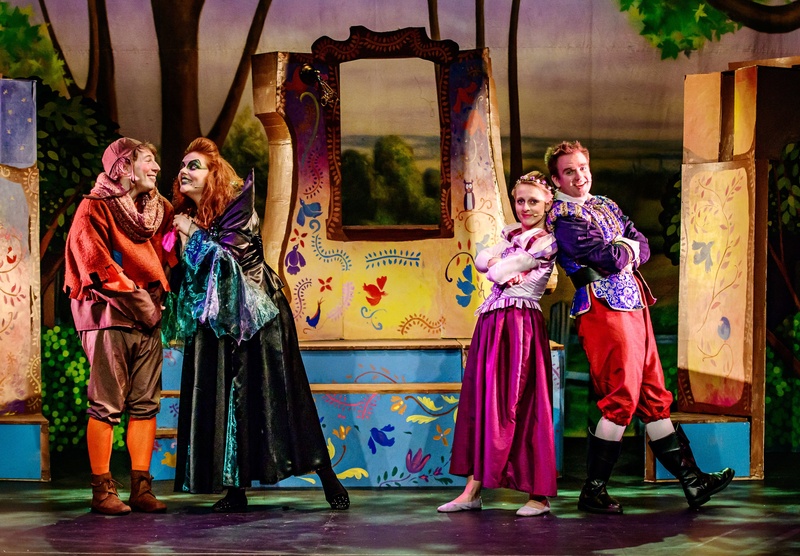 Once upon a time, Christmas long forgotten and half-term interminably dragging, salvation was to be found at London’s Greenwich Theatre where little princesses and their restless siblings could be entertained with a bewitching story about a girl with the world’s longest hair. Immersion Theatre Company has a history of crowd-pleasing productions and its seasonal (ish) coming of age story is no different. It may seem odd watching what is, essentially, a post-panto, festive show in February but, what the hell, some venues won’t get the spring tour until well after Easter. Rapunzel isn’t your average re-imagined fairy tale. For a start this adaptation has been written by the creators and writers of Friends (yes, really, that one). It is pretty much a family affair with David Crane and Marta Kauffman working with Marta’s husband, Michael Skloff to come up with an original twist on a traditional story. Immersion’s artistic director James Tobias is at the helm for this show and he knows his (young) market. 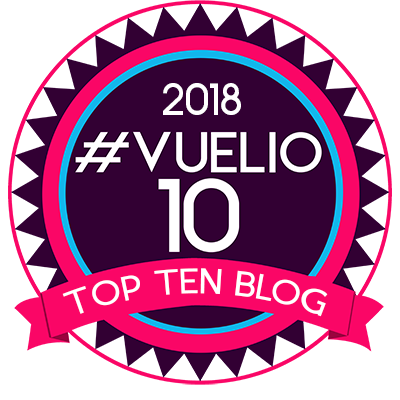 Children have the attention span of goldfish and often it doesn’t take them long before they’re wriggling in their seats and paying more attention to their bags of pick’n’mix than what’s happening on stage. 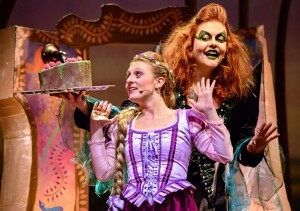 But Rapunzel, despite not having a lot of audience engagement, holds their interest. Tobias has come up with a fluid, fast-paced and engaging show, that doesn’t waste a second. He takes a winning story that ticks all the boxes. Stock characters of lovely heroine (with amazingly long hair), a gallant if gormless hero, a witch and a jester are used to tell a thrilling story of bravery and growing up. There’s a darker side to the legend – kidnapping, child abuse, and an overprotective mother terrified at what the world will do to her innocent young daughter – but the messages are discreetly woven into the fabric of a multi-faceted and enthralling show. This new version has had a few tweaks to give us more of a back story to the girl at its heart. Growing up has never been harder for a girl. For the first 16 years of her life Rapunzel has lived in a tower where her mother has kept her safe. It’s home and, while she longs for a broader view of the outside world, she feels secure. 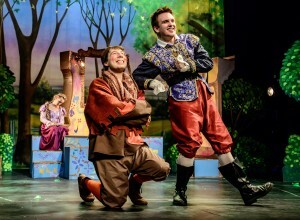 So Rapunzel is reluctant to go with our would-be hero, Prince Brian, who has something to prove to his father. In fact, it takes a lot of persuasion to get her out of her comfort zone and give her enough confidence to face life outside. “So you don’t need rescuing then?” he asks. “No,” she replies emphatically. 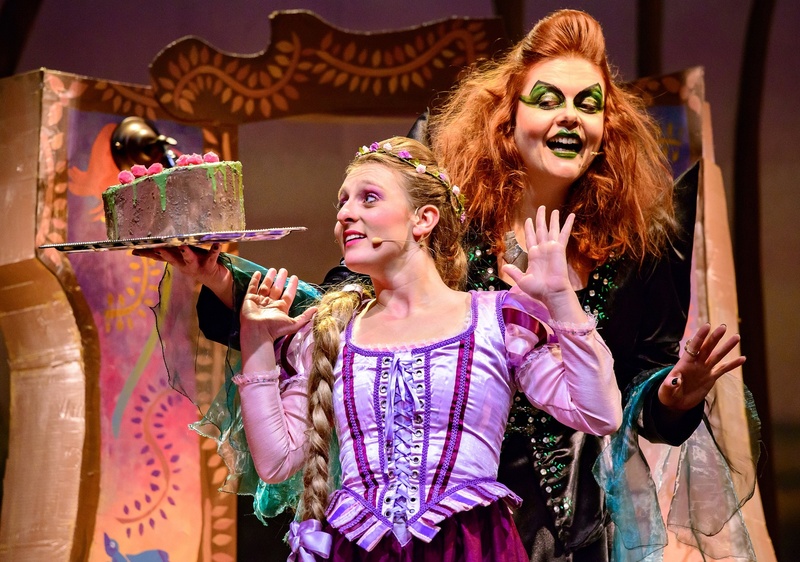 Rebecca Ayres gives us a Rapunzel who seems remarkably nonchalant when faced with other people and situations for the very first time – although the mop gag is funny. “Stand aside!” screams Brian. “We’ve got a mop!”. But this is a resilient young lady who isn’t fazed by anything – not even an intimidating king. The boys in the audience will love Prince Brian and his valet Simon. 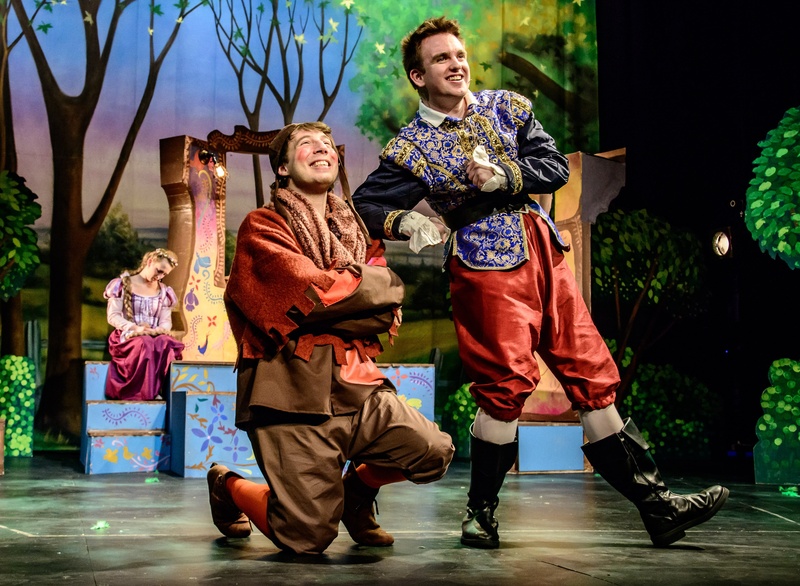 Brian is 17 going on seven and Luke Francis, as the clueless royal hero (“As a hero I’m a zero”, he sings), is lively and exuberant, matched by the hard-working and versatile Dan Dawes who plays Simon and all of the show’s supporting characters. His slobbish apple-spitting inn-keeper is a revoltingly hilarious. Simon is charged with buttering up Greta, the lonely witch (a magic turn by Jo Wickham,) and he goes about his work so enthusiastically that his wooing leads to a kiss. “Eugh”, cried the young audience (wait until you grow up kids). There is a song list of ten original numbers and colourful, comic, performances from a talented quartet of actors. Let your hair down and enjoy 75 minutes of pure fun. It’s enchanting. April 17, Camberley Theatre, Surrey. Let your hair down and enjoy a fun retelling of Rapunzel that’s been created by the writers behind TV’s Friends. An enthralling, comedy adventure about the pitfalls of growing up.